Elizabeth & Paul’s love story was slow and steady, but their paths always close. In college, unbeknownst to the them, Liz & Paul resided in nearby dorms for close to four years before they connected. Then one day, they were set up on a blind date through Paul’s older sister’s friend. Yet it wasn’t for another a year and a half that they found their true love for one another. Liz & Paul almost pulled the trigger on a different location to tie the knot when they came across The White Barn at South Farms in a bridal magazine. The serene, pastoral landscape was exactly what these two NYC denizens dreamed of for their picturesque wedding day. 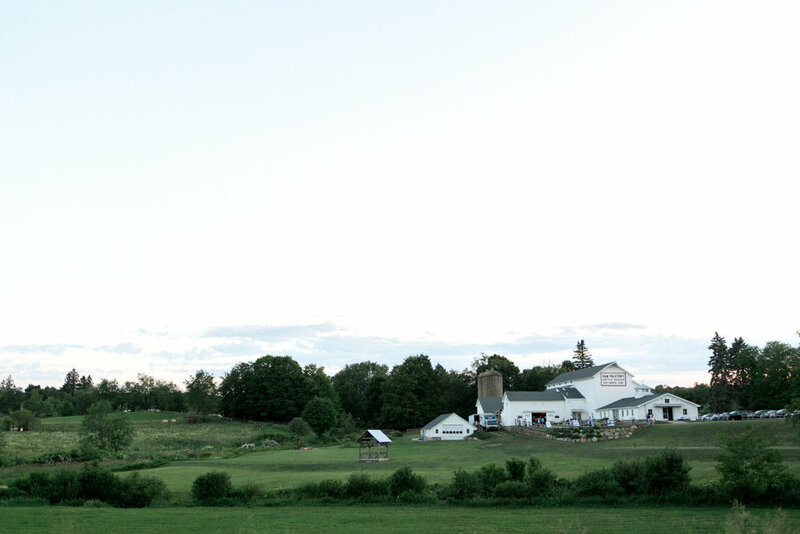 Situated in Litchfield County, South Farms is a revived, contemporary family-owned farm with deep, generational roots in Morris, Connecticut. Avid lovers of travel and family heritage, as soon as they stepped foot on the property, Liz & Paul knew it was the one – the perfect place to gather those nearest and dearest from all over the world to celebrate their marriage. Under an idyllic afternoon sky, guests were greeted at cocktail hour with a signature libation, “The Plizz,” a portmanteau concocted by one of Liz & Paul’s closest friends. The warm, early summer night concluded with a choreographed first dance and a lifetime of memories to pass the night away.